1. They Use An Inferrior Product Line - oiley, smells bad, hard to use, doesn't kill lice. "We use the SuperLice Solutions brand - it has a spa-like pleasant scent, makes hair soft, and kills hatched lice beautifully in 5 minutes." 2. They Aren't Experienced Expert Combers - very often, their only experience is treating their own kids, a few times. They assume they 'know how to do it'.When you treat at home, people don't expect to have to pay for multiple treatments. You have got to be an excellent lice removal technician. We train our new staff members on the 'Pro Nit Practice Kit'. It comes with a manequinn head, tutorial videos, and all the tools you need to practice, at least 25 times, until you are an expert. 3. They Don't Know How To 'Nit-Pick'. We suggest goggles and a headlamp, going through the hair in 'paper thin sections', in order to make SURE you got everything off the head in one treatment. It takes patience and skill, but once you 'get it', you will be sure to get many referrals from satisfied customers. 4. They Require A Second Treatment, (often at a discounted rate). Time is money, especially 'travel time'. We have found the best strategy is to take whatever time it takes to get ALL the lice out, in one treatment. Then, we suggest follow-up twice with an excellent non-toxic shampoo, (we like Apple Attack Treatment Shampoo), in the event of re-exposure/re-infestation. 5. They Don't Know How To Market To School PTA's. Most public schools aren't allowed to 'promote' a business, and will not accept your brochures. There are a couple 'tricks' that help you to be welcomed, even featured as a guest speaker at your local schools. 6. They Have A Poor Website, With Outdated Information. We have had very good luck with Go Daddy, they were able to 'grow with us'. We added a store, blog, social media help, etc. Best part - their tech support is 24/7 and EXCELLENT! 7. They Don't Accept FSA (Flexible Spending Account) or HSA (Health Savings Account). It is almost impossible to get regular health insurance to pay for lice treatment. But, if you are designated by your bank, your business will be able to accept FSA or HSA payments. (They typically have a special credit card, but sometimes need an itemized receipt to submit later). We love mompreneurs! We have created an online Homebased "Lice Business Bootcamp in a Box". 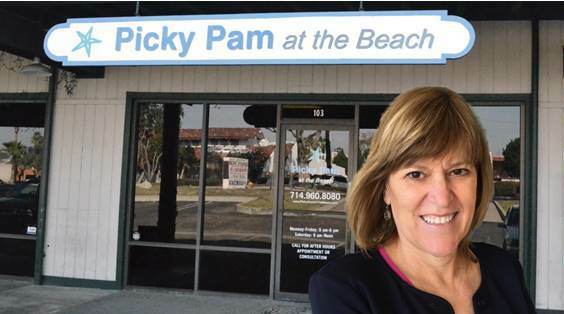 It's EVERYTHING a busy mom needs to get into the booming lice removal business. For details, visit http://www.SchoolOfLice.com. Got Lice In January? Don't Blame Santa!